Pakistan Today – Making a comeback in a decisive match against India, England allrounder Moeen Ali picked up nine wickets and earned the man of the match award. 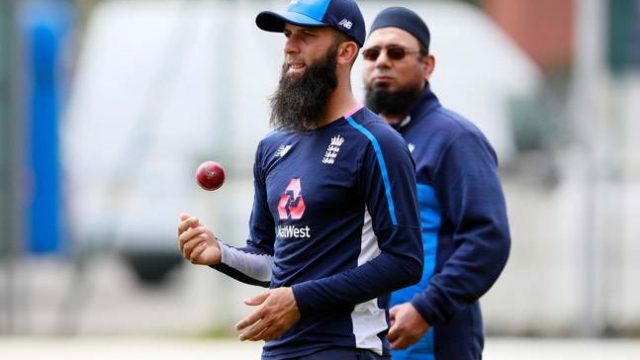 In August last year, Moeen had paid a tribute to the “amazing” Saqlain for his role in helping him enjoy a record-breaking Test series against South Africa. “‘Saqqy’ has been amazing for me in terms of helping with my fields, helping me understand my bowling a lot more than I had done previously – and I think that has been the biggest difference,” said Moeen after bowling England to a 177-run win in the fourth Test at Old Trafford.